We pause for a moment today to celebrate the Proclamation Anniversary of our beloved Church which many had judged at its early days to have had died before it was born. We thank God that through its grace, he sustained this Church to life, faith and work, and through these years continued to renew it for faithful witness. We praise God for calling the IFI to become part of his salvific plan, and as we rejoice for this special privilege today we come before him humbly offering our corporate life and witness, opening up ourselves to his power and ever trusting to his purposes for us. We celebrate this historic occasion in due affirmation of our calling as God’s people, members of the body of Christ our Lord, temple of the Holy Spirit, and heirs of God’s kingdom. It is said that that the “the birth of a child is the bliss of joyous celebration of new human being.” Similarly, it is so with the birth of the IFI our beloved Church. With the proclamation of the IFI in 1902, God gave birth to a Church which we Filipinos could truly embrace and identify because it is the Church associated with our aspiration and struggle as a people and as a nation. Its birth provides us the cause for joyful celebration of a calling that seeks to restore new humanity among Filipinos that aspire and struggle for national identity, genuine independence, integral sovereignty and religious nationalism. Its birth gives us the impetus to pursue and celebrate justice and peace, the kingdom-values that define and embody new and full humanity in Christ. It is therefore timely that we adopt: “Make Every Effort To Do What Leads To Peace” [Romans 14::19 NIV] as our national theme for this year’s celebration. It reminds us that seeking peace is central to our calling; that pursuing peace, that which is just and lasting, is simply not just an option for us as a Church, but is our basic and fundamental work. Peace is our imperative in doing and becoming a Church. For after all, Jesus – the Lord of this Church – is the prince of peace, and the God of history that summons and calls the IFI to being is the God of peace and justice. 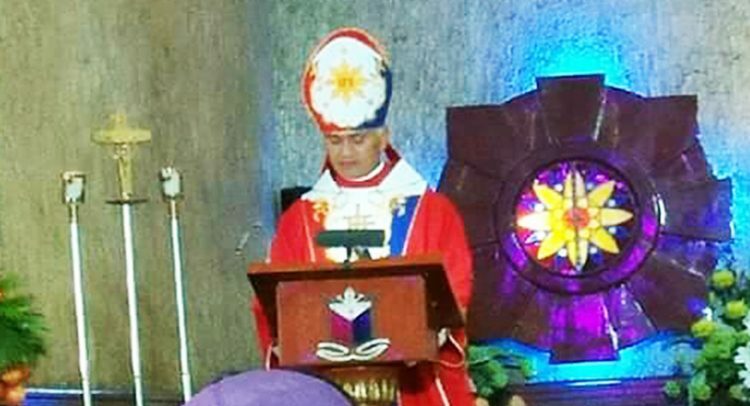 As we celebrate the 115th Proclamation Anniversary of our Church this year, let us seriously take the challenge to make every effort to do what leads to peace, mindful that their exist in our midst varied forces and realities that hinder genuine peace based on justice to prevail upon our nation which is long torn by civil strife. Let us in this Church bind and unite ourselves around the common agenda of peace, organizing our churches and congregation for peace-making task, building up our people and communities as constituents and network of peace, overcoming all odds and barriers towards the reign of peace. In persistently seeking and pursuing peace, let us strive and work to create a culture of peace among our people, that is so doing we shall have among us men, women, and children who are desirous for peace and shall undertake all efforts leading to peace and owning peace as life owns breathe in order to meaningfully live as people as what God intends us to be. We are confronted today with so-much images of war, death and unpeace especially compounded with the culture of impunity and life-situation of massive poverty of people, heightened with the declaration of martial law over Mindanao, with undue sight of the prospects of peace talks to collapse completely. All these challenge our commitment to peace-making. But may this year’s celebration of the 115th IFI Proclamation Anniversary however become an opportunity to renew our commitment to peace-making and to take our collective task of peace-building to a greater height. It is our hope that this celebration affords us the occasion to propel our corporate mission as a Church to confront the realities of war, death, unpeace, poverty and injustice among our people. It is our desire that we become the prophets of our times who shall speak truth against lies, who shall say, like the biblical prophets, that there is no peace when court-prophets say there is peace. It is then our prayer that the 115th IFI Proclamation Anniversary acquires the power of celebration. “People of our time are losing the power of celebration” as a philosopher named Abraham Joshua Heschel observes. “Instead of celebrating we seek to be amused or entertained. Celebration is an active state, an act of expressing reverence or appreciation. To be entertained is a passive state – it is to receive pleasure afforded by an amusing act or a spectacle. Celebration is a confrontation, giving attention to the transcendent meaning of one’s actions.” May our celebration therefore bring and highlight the meaning of our actions as a Church called from the bosom of people’s struggle for justice and peace and to which I greet every IFI member in the Philippines and abroad a happy and meaningful Proclamation Anniversary of our beloved Church, giving reverence to its great history and attention to the fidelity of its mission.